Sometimes it's the most simple element in a work that takes the most time and thought. 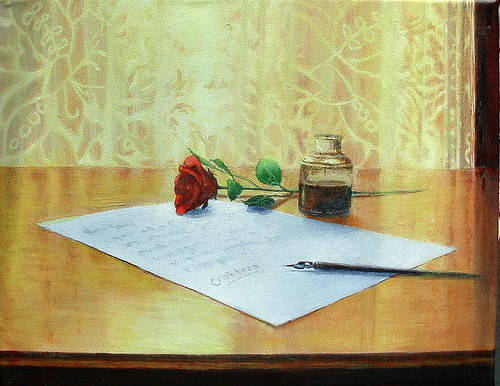 In the case of The Letter, that element would be the letter itself to make sure the paper was in proper perspective. I'm quite happy with the outcome and feel the time spent was well worth the effort as the letter lays nice and flat on the surface. 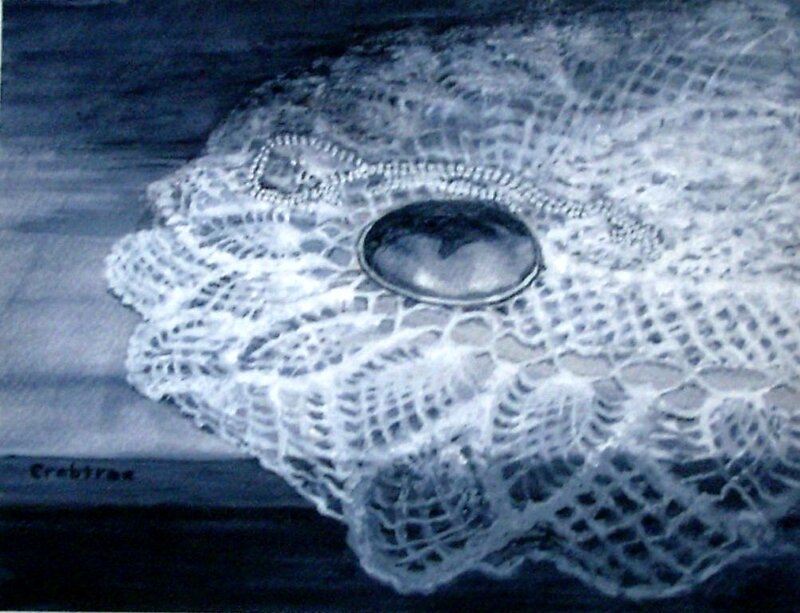 Shown here is a painted lace study on watercolor paper using only two colors: payne's gray and titanium white. The amulet was originally intended to be the only element in color, but as a last minute decision, I chose to keep the palette limited. 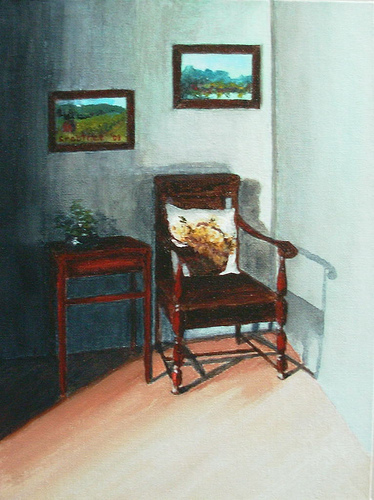 One of the most difficult things to paint or draw, in my opinion, are chairs! The perspective, if not done right, will make everything look wonky. This painting, considering the challenges, thankfully came together nicely! 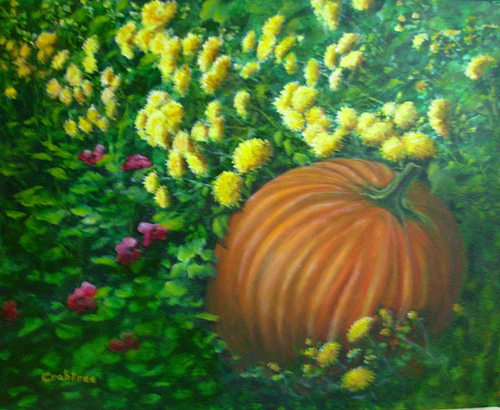 This painting was based on a combination of photographs taken by my sister. 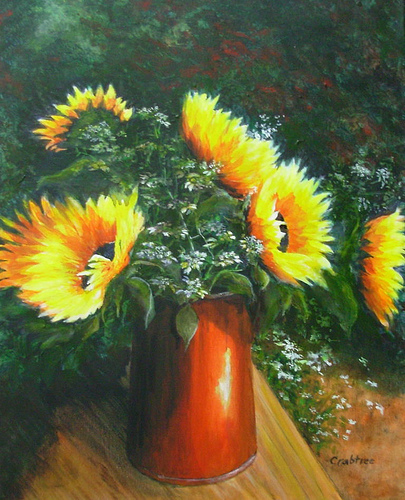 As I worked on this painting, when I was just past the blocking in stage, I made a decision to not over-paint the sunflowers. Ordinarily, I would add much more detail and realism, but I loved the fresh, bold and spontaneous look of these after the initial strokes. 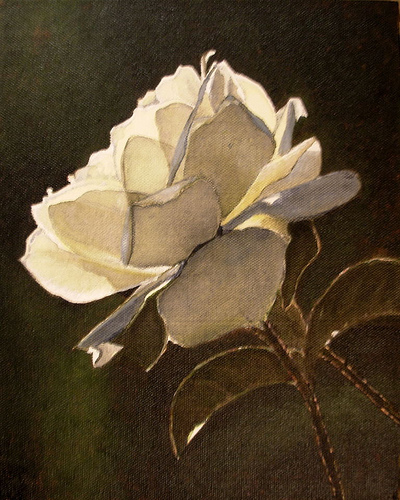 This exquisite rose was photographed by a fellow artist, Deb Brookshier, who generously allowed me to paint it. Perfection is the way I would describe this enchanting rose. 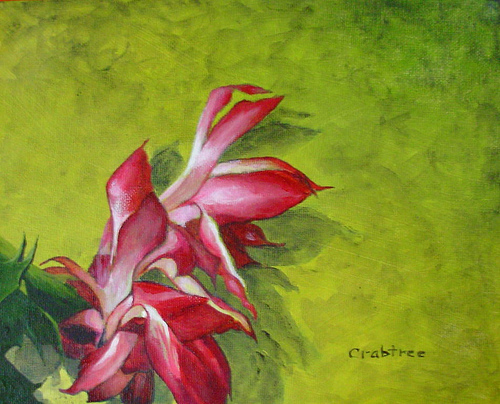 My greatest challenge was to capture its delicacy, the luminosity and translucence of the pedals and the same dramatic contrasts Deb did in her photo, with paint. Deb’s photos and artwork can be seen on-line at: www.debspainting.com.